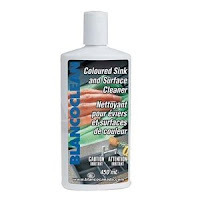 Normal Stains ~ For stains, please use BLANCOCLEAN, along with a soft scouring pad. Stubborn Stains ~ A solution of 50% bleach, 50% water should only be used for tough, stubborn stains. 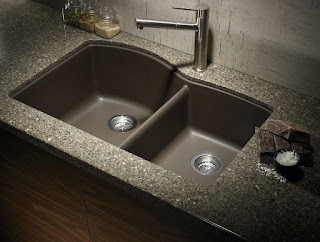 Let the solution sit in the bottom of the sink for one hour; then scrub. Rinse well. Also, the use of Bar Keepers Friend (directions included on bottle) will help remove stubborn stains. 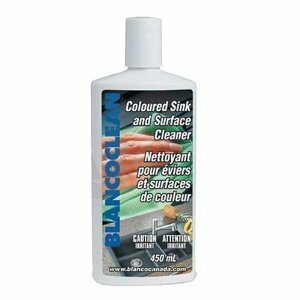 Finally, clean with BLANCOCLEAN to put a protective coating back on the sink's surface.